(91outcomes.blogspot.com) - Using lessons learned after Vietnam, Congressional action after the 1991 Persian Gulf War provided automatic priority health care enrollment for Gulf War veterans, regardless of whether or not they had received the often difficult-to-win service-connection for their health conditions or met other priority health care eligibility criteria. However, quietly at the end of 2002, these inclusive statutory health care enrollment provisions for Gulf War and Vietnam (herbicide) veterans were allowed to expire. A new bill introduced in Congress in late June would restore eligibility for both groups, and make that eligibility for VA health care permanent. Specifically, H.R. 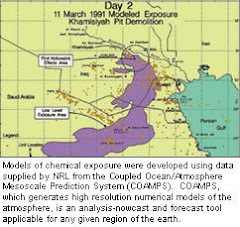 2926 would amend title 38, United States Code, to direct the Secretary of the U.S. Department of Veterans Affairs (VA) to provide, without expiration, hospital care, medical services, and nursing home care for certain veterans of the 1991 Persian Gulf War. The bill would also make permanent the eligibility for VA health care for certain Vietnam-era veterans exposed to herbicide -- a provision in law after which the Gulf War health eligibility provision was originally modeled. Like certain Gulf War veterans, certain Vietnam veterans' eligibility for VA health care under VA Health Care Enrollment Priority 6 expired on December 31, 2002. It is unclear how many veterans might potentially be affected by the change, which would affect Gulf War and Vietnam veterans with lower or no enrollment status in the VA health care system. Introduced on June 17, 2009 by Congressman Glen C. Nye, III (D-Virg., who represents the military-heavy Hampton Roads area), H.R. 2926 has been referred to the House Committee on Veterans' Affairs Subcommittee on Health. The bill is one of 107 bills that have been referred to the Subcommittee since the beginning of the 111th Congress in January. 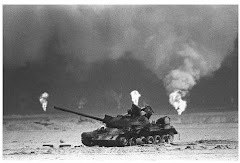 Veterans of the 1991 Gulf War have also had to fight to seek five-year extensions to authorization to apply for undiagnosed illnesses, which also include three diagnosed conditions: fibroymyalgia; chronic fatigue syndrome; and, irritable bowel syndrome. In December 2006, the VA issued a federal rule change that extended presumptive compensation for U.S. veterans of the 1991 Gulf War by an additional five years, to a new December 31, 2011 deadline. Unless this claims deadline is further extended, veterans of the 1991 Gulf War must submit service-connected disability claims for presumptive conditions, including claims for unexplained illness, chronic fatigue syndrome, fibromyalgia, and/or irritable bowel syndrome prior to this date or risk denial under more stringent rules thereafter. H.R. 2926 addresses the health-care deadline for veterans of the 1991 Gulf War; the claims deadline is a separate issue. The bipartisan bill's four additional cosponsors include Rep. Steve Kagen, M.D. (D-Wis.), the House's only practicing physician, as well as Rep. Jerry McNerney (D-Calif.), Rep. Walter Minnick (D-Idaho), and Rep. Ileana Ros-Lehtinen (R-Fla.). Constituents of other Members of Congress can contact their Representative to request that he or she cosponsor H.R. 2926 by using the online, Write Your Rep service of the U.S. House of Representatives. So what else is new? They completely left out any kind of veteran funding in the stimulus package. Nothing new on how they treat us. Thank you for your comments. I feel your frustration. In fact, the accumulated frustration of Gulf War veterans is the motivation behind this site (which frankly, VA should have been doing for the last 18 years - though they're welcome to link to this one now that it's up and running, and free...). The National Association of State Directors of Veterans Affairs has linked to it from all 2,000+ pages of their website, at www.NASDVA.net, so why not VA too? In this case, it's good to have some good news to report. While there certainly are LOTS of issues that need correcting in veterans affairs, here's more information on the Stimulus Package, which included over $35 million for eight veterans programs, including $250 direct deposit payments to service-connected disabled veterans. Additionally, you can help -- just contact your Member of Congress and ask him or her to cosponsor H.R. 2962! Thanks again for your comment and for your interest and support.